Legal cannabis sales are about to happen in Alaska, maybe even within the week. Flower and bud and wax and shatter won’t have a wide city network to start, though. The municipal process takes time and has already backfired, as Anchorage residents object to the denseness of pot businesses. Greatland Ganja, a Kasilof cultivator, dropped off samples at recently approved testing lab CannTest LLC on Oct. 24. Several Anchorage retail shops are near operational — one, Arctic Herbery, has already started handing out samples — and will have a flow of tested product as soon as CannTest clears it. Valkyrie Security and Asset Protection is trucking a bundle of samples to CannTest from Fairbanks later in the week, and Valdez retailers say they could open by Saturday, Oct. 29. The marijuana industry, unable to access banking and without any current sales to replenish the thousands in rent, construction, legal and license fees they’ve paid in the last year, views municipal rules as a needless constraint. Besides considering it unnecessary, industry stakeholders think the Municipality of Anchorage rules are indirectly leading to public backlash against marijuana businesses by concentrating them into green-friendly clusters. Erika McConnell, the Anchorage municipality’s marijuana land use planner, said industry members are reading the cause and effect of zoning requirements accurately. Jana Weltzin, a cannabis business attorney, describes the municipal land use requirements as “overly burdensome,” and said they cost both city staff and businesses time and money. “A cannabis production company would make better business sense in other parts of the state, unfortunately,” wrote Weltzin. Ballot Measure 2 legalized recreational adult use cannabis in Alaska, but allowed local governments to opt out of legal cannabis or create their own rules. Municipalities have taken different views on how regulations should go. To date, Anchorage’s process has been the most problematic. It requires licensees to have a license application deemed complete by AMCO before before the Anchorage Assembly will review licenses, rather than approving the city license before or concurrently with the state license. It has more restrictive hours of operation than the state and more restrictive zoning rules. The Anchorage Assembly passed an amended land use ordinance requiring setbacks between marijuana business and schools, churches, recreational facilities, and child-centered facilities. The land restrictions create pockets of proper zoning in B-3 business zones for retail and industrial zones for cultivation facilities, largely concentrated in Midtown-Spenard and South Anchorage. Some neighborhood tensions boiled over on Oct. 17 as a result. In a letter to the Anchorage Assembly, Campbell Elementary School principal Michelle Johansen told assembly members she had learned at a Taku-Campbell Community Council meeting that there were five marijuana businesses vying for space near Campbell Elementary. Johansen demanded that the Assembly move one of the agenda items, approval of Raspberry Roots cultivation facility, up further on the agenda so parents could protest. Each of the proposed businesses scheduled for hearings that night — cultivator Raspberry Roots and retailers Alaska Buds and Enlighten Alaska — passed assembly approval, having undergone extensive contact with their respective community councils. While the elementary school dominated headlines, industry leaders heard directly from the public at large. Nick Miller, a member of the Marijuana Control Board and president of the Anchorage Cannabis Business Association, said his phone blew up with angry calls from the general public after the Campbell Elementary fiasco. Miller said he sympathized, but also that his hands were tied. Public outcry could worsen if the assembly chooses new rules that would put the screws on cannabis businesses even further. An Anchorage Assembly Economic and Community Development Committee has been talking about adding dedicated parks to the protected land use list and expanding dedicated parks areas, an idea which came before marijuana legalization but could have an impact all the same. Protected zones now include playgrounds and athletic areas. With tens of thousands of acres of public land that could be designated as dedicated park space, Anchorage could potentially ratchet down the allowed area even further. Other buffer zone regulations could change to be stricter or more lenient. One of the more contentious buffer zone issues relates to how the city will measure the distance between a marijuana business and a protected area. State law bans all cannabis businesses from being within 500 square feet of protected areas. Anchorage follows suit but has been interpreting the law in such a way that several businesses, which have paid building rent for months, might be in violation of the rule. “The thing most contentious is how would one measure in terms of crossing streets,” said McConnell. Under current regulation, businesses could be measured 500 feet from a protected area even if the two are separated by a major arterial road. Stakeholders are requesting the Assembly change the rules so that the distance must be measured to include the nearest labeled crosswalk. As Anchorage municipal rules box businesses in, other local rules lean to more leniencies. In Fairbanks, businesses don’t have to have a fully approved state license before the local authorities green light the local license. The borough assembly has already approved dozens of marijuana businesses while the Anchorage Assembly chips away at handfuls every two weeks. While Fairbanks makes businesses stay 500 feet from the state-specified zones — K-12 schools, playgrounds, correctional facilities and public housing — it only requires 200 or 100 feet of distance from other areas for which the Anchorage rules require 500 feet of distance. Other locales open up entire districts to what Anchorage forbids. 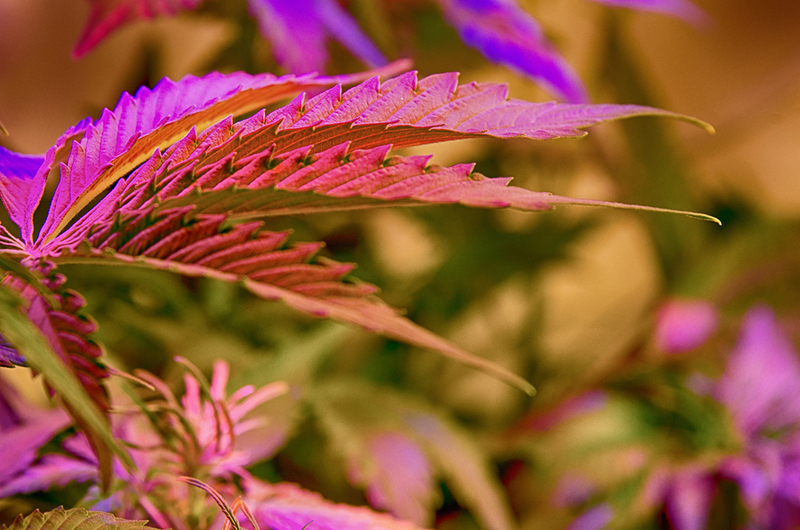 The Juneau Assembly lets limited cultivators with grows under 500 square feet operate in residential areas with certain restrictions, while residential grows are strictly off limits for Anchorage limited cultivators. Not all cities have stricter rules. The Kenai City Council requires 1,000 feet from schools, matching the federal Drug Free Zone standard. However, the 1,000-setback distance is alive and well in Chugiak and Eagle River, which have special carve outs in city regulations not only for schools but for every other protected zone. Only two areas — blocks of industrial land near airports without key utilities — are green friendly in the entire Chugiak and Eagle River area. The local versus state dynamic has bred some surprising flip-flops, twists and tensions in a case study of local civic involvement. The Mat-Su Borough has had a reputation as Alaska’s black market green belt for decades, and in 2016 the politics have matched the strength of the strains. Mat-Su cities Palmer and Wasilla both banned commercial cannabis inside town limits, while Houston invites the potential tax base with open arms. For most of 2016, the cannabis business community rallied to defeat a proposed borough-wide ban on commercial cannabis, which reopened dozens of Mat-Su licenses the state Marijuana Control Board had previously tabled. The Kenai Peninsula Borough has a similar proposed ban, for which a registered signature gatherer was Peter Mylnarik, Chief of Police in Soldotna and the Marijuana Control Board’s chairman. Because ballot signatures didn’t come in until late, it’s still an open question on whether the borough assembly will take the ballot up in a special session or bump it back to the 2017 election season. In Fairbanks, a group of anti-cannabis advocates have gathered enough signatures to put a borough-wide commercial cannabis ban onto the 2017 ballot.